Oakes Wax Melt Starter Kit is ideal for those who want a beautiful burner with all the essentials you need to get going with wax melts. 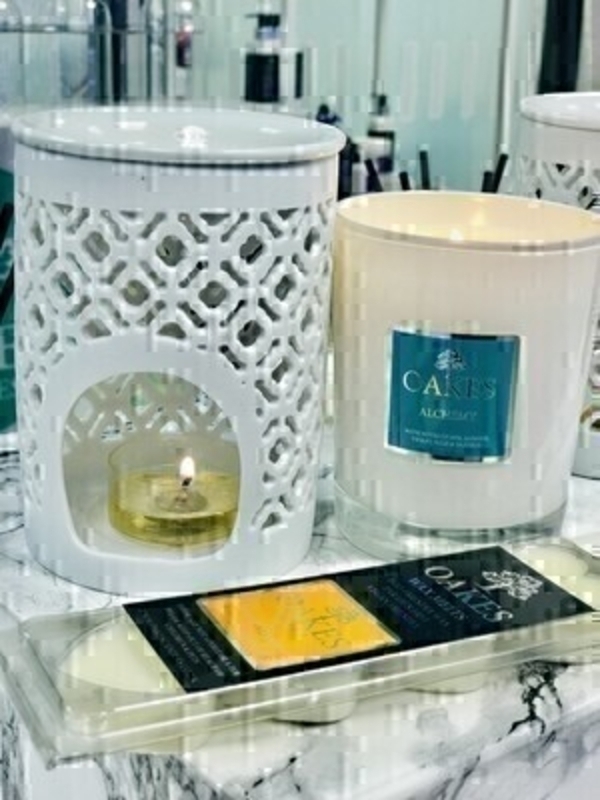 The kit contains a white ceramic wax melter together with tea lights and a wax melt in Seasalt and Neroli scent. Additional wax melts in packets are available to buy separately. Handmade using eco-friendly and vegan-friendly soy wax with a scent that will enhance any interior. Just pop the wax melts into your Diffuser to enjoy. Supplied in recycled plastic heart shape clam shell complete with signature Oakes Foil Silver and Black labelling. Ingredients include: vegan soy wax and fragrance oils/essential oil blend. A lovely gift for yourself or a friend. As with all products always cruelty free and packaging is recyclable.